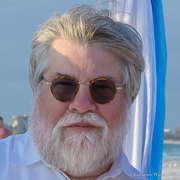 The On Liberty Watch Blog was founded by Joe Benning. The purpose is to promote and defend limited government and individual liberty in the United States. A political economist by training, Dr. Benning earned his PhD at New York University in Public Administration with a concentration in public economics and policy. Joe has served as an economist and risk manager for investment banks and Exchanges, and he has provided consulting services for clients in the United States, Canada, Europe and Asia. The author of several articles and opinion pieces on public policy as well as a book on capital markets, he is also the inventor of the Dow Jones CBOT Treasury Index.